There really isn't that much to get BlazeDS up and running on either of these systems, largely thanks to the ease of use built into Ubuntu. Here are the instructions to get it up and running. 1. Grab the Vancouver build of BlazeDS from here. 2. Unzip it to your desktop. Ubuntu 9.04 makes this simple as all you have to do is double click on the *.zip package, the same as OS X or Windows. 4. This means you have to use a great feature of Ubuntu. The apt-get command is a powerful command-line tool used to work with Ubuntu's Advanced Packaging Tool (APT) performing such functions as installation of new software packages, upgrade of existing software packages and more. It can even update the O/S. apt-get has numerous advantages over other package management tools available in Ubuntu for server administrators. Some of these advantages include ease of use over simple terminal connections (SSH) and the ability to be used in system administration scripts, which can, in turn, be automated by the cron scheduling utility. 5. 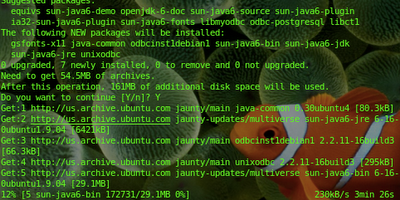 Run the command "sudo apt-get install sun-java6-jdk". 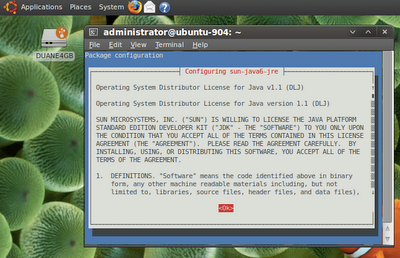 This will install the Sun Java JDK. I chose this one over the others as I consider it the reference implementation for a JDK. Once you hit enter, you will be asked for your admin password and then the magic begins. I swear this was the easiest Java install I have ever done in my life. Thank you whoever created this tool at Ubuntu!!! 6. At some point during the install, you will be hit with the Sun license agreement. There will be a little (yes) prompt at the bottom of the grey area and none of the regular keys or mouse inputs seem to get you to be able to interact with it. You have to use the TAB key for this. Tab over until the (yes) is highlighted (shown below) and hit enter. Same for the next screen. 7. When this completes, you should be able to type "javac" into the command line and see the proper output (basically a prompt asking you for options). 8. Navigate to the folder where you saved the BlazeDS build from step 1. Using the terminal, chmod it to make it executable ( chmod -R 755 BlazeDS/ ). Chmod makes the file persist in a mode of "executable" if given the 755 argument. You may have to change to su to do this. This can be accomplished by typing in "sudo" in front of the command. 9. You're almost ready to start it up. The last step is to set $JAVA_HOME. To do this, you have to modify a small properties file that controls the environmental variables when in the terminal. This file is usually in your home directory. To switch back to this directory just type in "cd ~" and then type in "ls -la .bash*". This should provide a list of files that are hidden (from just running "ls") and you will see one such as .bashrc or .bash_profile. This is assuming you are running the BASH shell. 10. You will have to edit the .bashrc or similar file to add a line that sets the $JAVA_HOME environmental variable. First you have to know what this value should be. 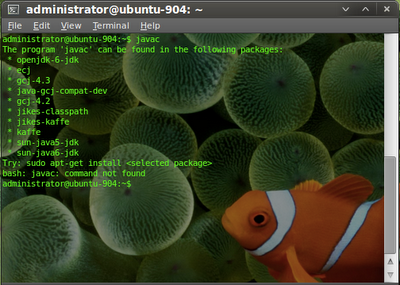 Within the terminal, type "whereis java". This should provide a list of locations where Java is installed. 11. Unfortunately, the process is not quite straightforward. 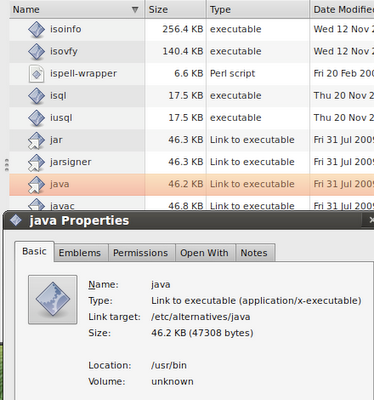 Grab a File Browser and navigate to the first path you see (in this case /usr/bin/) and inspect "java". On my system and many others, this will turn out to be a symbolic link to another location. To find out where, right click on it and select "Properties". Mine showed the location as /etc/alternatives/java. 12. Navigating to /etc/alternatives/java also revealed that this too was a symbolic link. The real target was /usr/lib/jvm/java-6-sun/jre/bin/java. This means that the real value for $JAVA_HOME will be /usr/lib/jvm/java-6-sun/. 16. 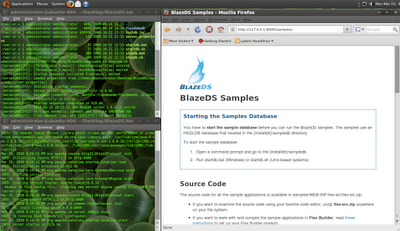 With your terminal, navigate to the BlazeDS root folder, then change directory to the "sampledb" folder. Type in the following: "sh startdb.sh". The sample database should start up. 17. Start another instance of terminal and navigate to the BlazeDS root folder, then navigate to subfolders "tomcat" and "bin". Type in the following: "sh catalina.sh run". 18. Fire up a web browser and navigate to http://localhost:8400 (the default port the BlazeDS will be running on). Voila! You are done. 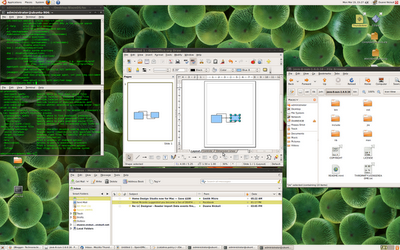 Coming up next will be some tutorials on Flex and AIR development on Linux if anyone is interested.